Former quarterback, Roger Staubach, joined the Dallas Cowboys in 1969 and led the Cowboys to two victories in both Super Bowl VI and Super Bowl XII. 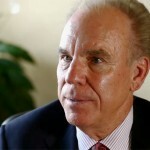 Roger Staubach is former Dallas Cowboys's quarterback and current businessman. He led the Cowboys to victories in Super Bowl VI and Super Bowl XII. After his required service in the United States Navy, including a tour of duty in Vietnam, Staubach joined the Dallas Cowboys in 1969. He played with the club during five seasons in which they played in the Super Bowl, four as the primary starting quarterback. He led the Cowboys to victories in Super Bowl VI and Super Bowl XII. Staubach was named Most Valuable Player of Super Bowl VI becoming the first of four players to win the Heisman Trophy and Super Bowl MVP—Jim Plunkett, Marcus Allen, and Desmond Howard are the other three. He was named to the Pro Bowl six times during his eleven-year NFL career. Staubach retired from football in March 1980, and was voted into the Pro Football Hall of Fame in 1985. In 1999, he was ranked number 29 on The Sporting News list of the 100 Greatest Football Players, the second-ranked Cowboy behind Bob Lilly. For details on how to book Roger Staubach, including information on Roger Staubach speaking engagements, Roger Staubach speaking fee, Roger Staubach appearances, Roger Staubach meet and greet, how to contact Roger Staubach and Roger Staubach agent information, contact a Roger Staubach booking agent at Sports Speakers 360 today! Roger Staubach speaks with KTBB's Bill Coates about Tom Landry. 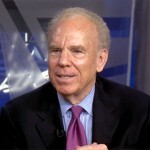 DISCLAIMER: Sports Speakers 360 does not claim to represent itself as the exclusive agent for Roger Staubach. Sports Speakers 360 is a sports talent booking agency that represents organizations seeking to hire athletes such as Roger Staubach and other sports celebrities for personal appearances, speaking engagements, celebrity endorsements and spokesperson campaigns. Fees on this website are estimates and are intended only as a guideline. Exact fees are determined by a number of factors, including the location of event, the talent’s schedule, requested duties and supply and demand. Sports Speakers 360 makes no guarantees to the accuracy of information found on this website and does not warrant that any information or representations contained on this website will be accurate or free from errors. We can help your company or organization choose the ideal athlete for your next marketing campaign. If you would like to hire Roger Staubach for an appearance, speaking event, product endorsement, charity fundraiser, grand opening, PR campaign, trade show or television or radio commercial, contact the booking agent at Sports Speakers 360 for more information.